I don’t think there would be anyone who doesn’t remember the shock they felt at the news of the September 11 attacks. Since then, almost ten years have passed, and much has changed. 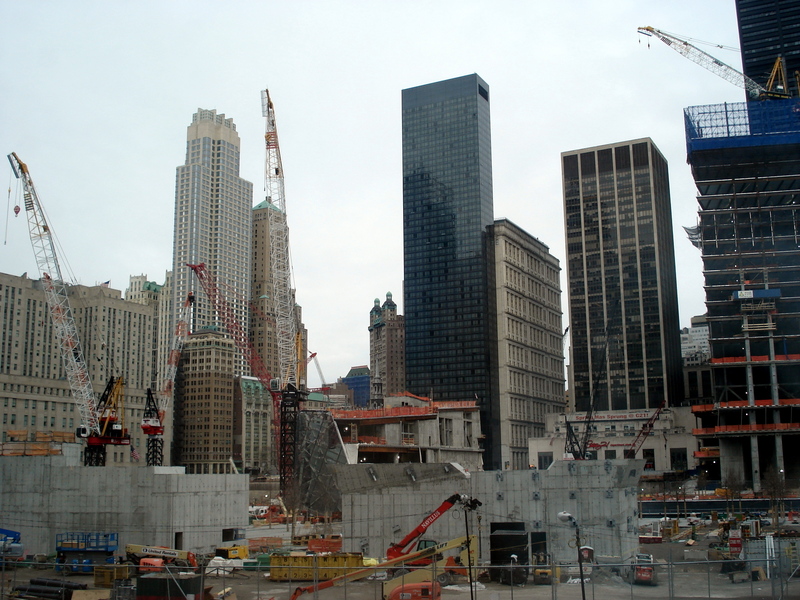 Ground Zero is now a bustling construction site instead of a heap of rubble. When Ben’s dad was here, we went and had a look at the progress a bit closer up. 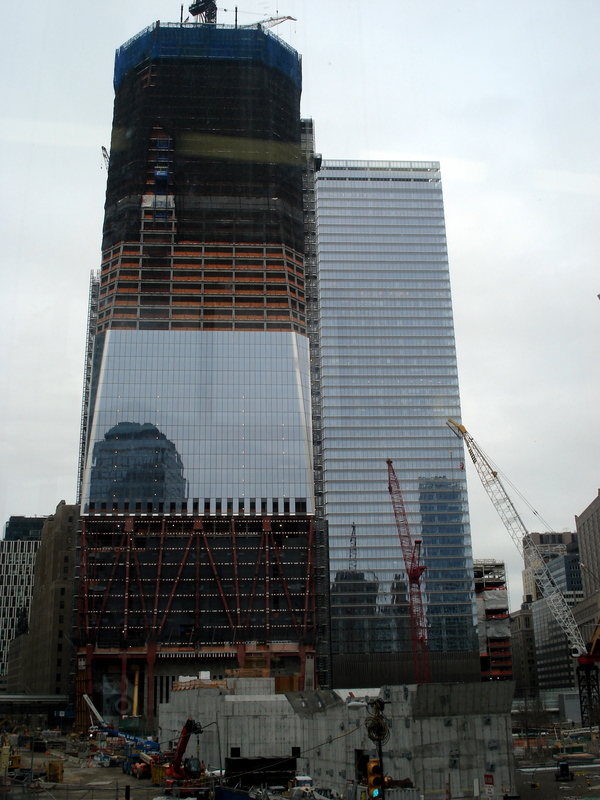 We see the One World Trade Center every Sunday when we go to church, because it’s only a few blocks away from where we worship, and it’s been neat to see it rise higher over the last year. 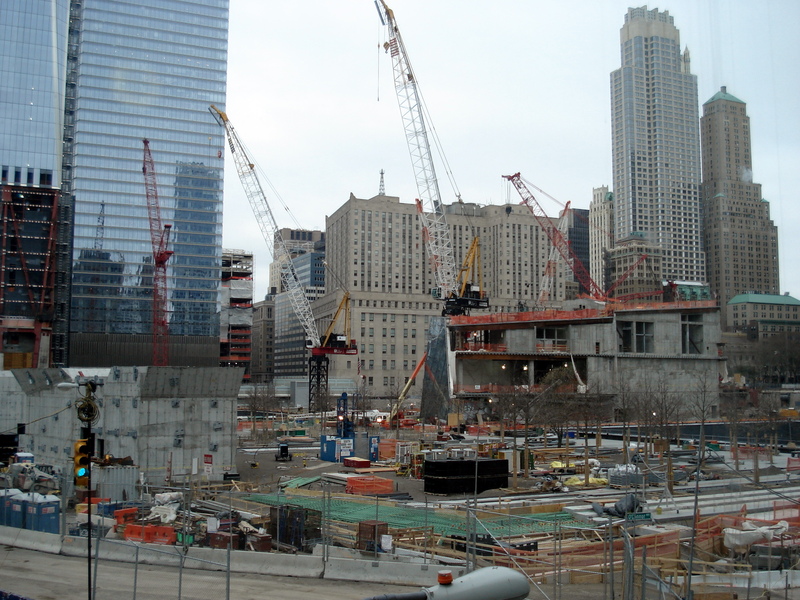 You could see it in the distance in a recent blog post, and I promised I’d show you some more photos of what Ground Zero looks like now, so here they are. 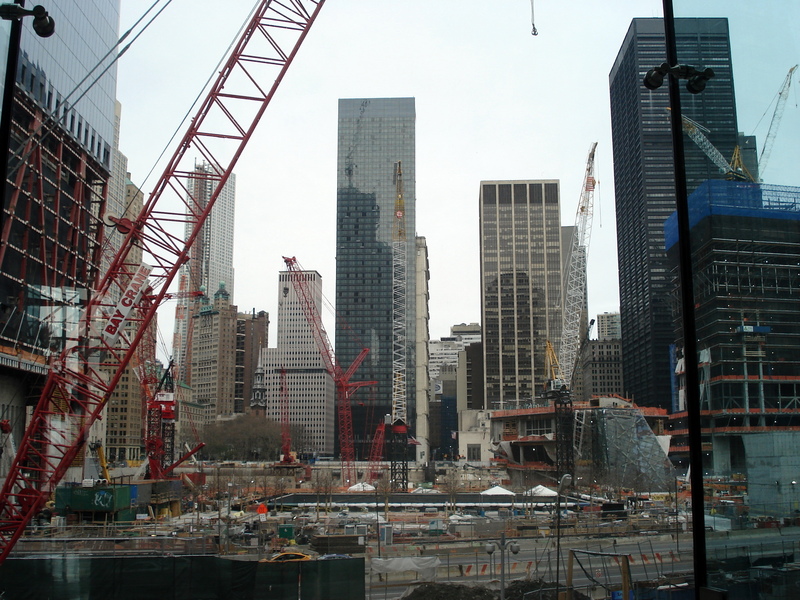 There really isn’t all that much to see — it’s one great big construction site with big buildings being built. To see what it’s all meant to look like when it’s finished, you can have a look at this website. 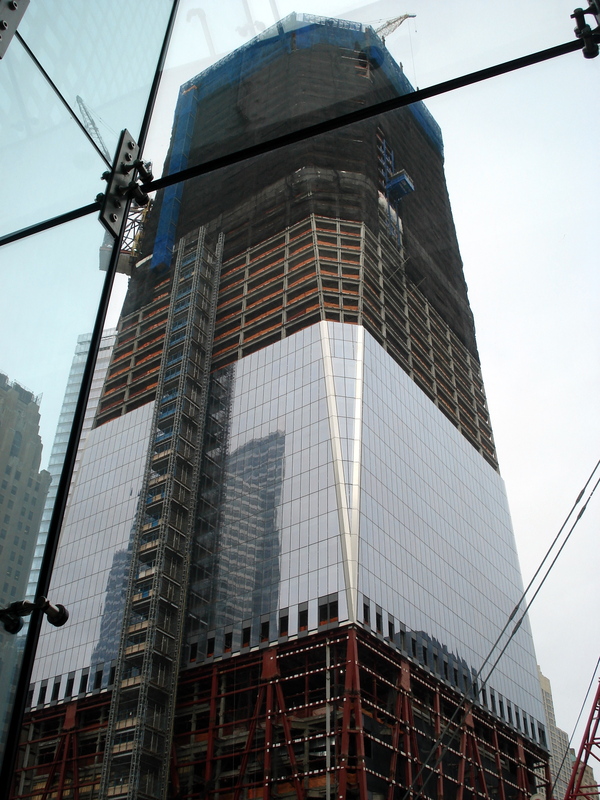 I look forward to seeing the progress of the One World Trade Center during our next year here. Apparently they hope to have the ‘topping out‘ of the tower late this year, so it will be interesting to see how the skyline changes as the tower grows. ← Did I tell you that Esther is now walking?